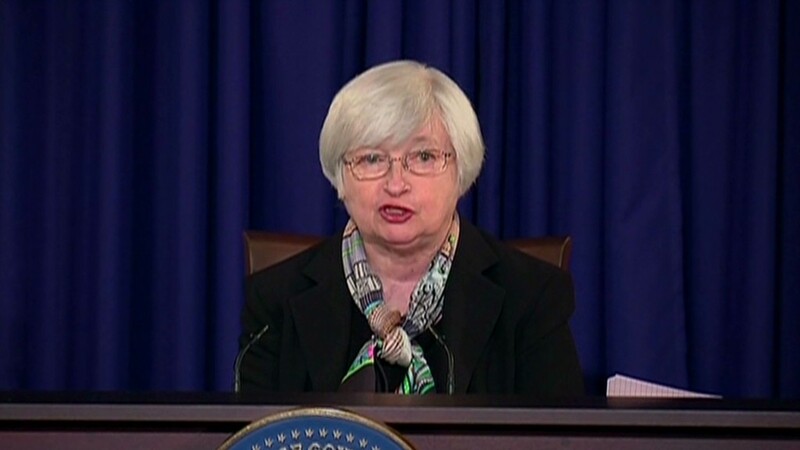 The most powerful woman in the world has spoken and markets are still reacting Thursday. U.S. stock futures were weakening after Federal Reserve chair Janet Yellen warned that the Fed stimulus program would most likely be finished by the fall and an interest rate hike could follow in early 2015. U.S. stocks declined Wednesday after Yellen's remarks as investors were surprised by the possible timing of a rate hike. 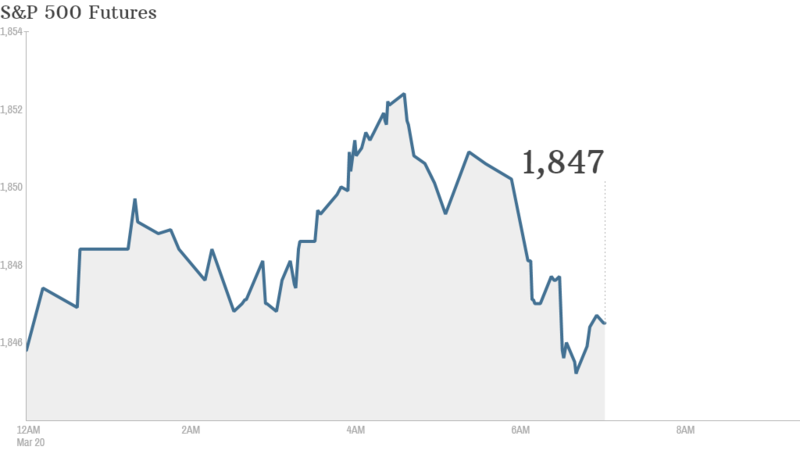 The Dow Jones industrial average fell by more than 100 points, while the S&P 500 and Nasdaq also finished lower. European markets were moving down in midday trading. Asian markets closed with losses. "Market reaction was quite aggressive as new chair Yellen could have caught a few analysts off guard," said Investec foreign exchange specialist Jon Pryor. "This has been the most hawkish [Fed] announcement over the past few months." But while the stock market took a hit, the dollar rallied as the result of Yellen's comments and "the fact that the Federal Reserve sounded more hawkish than expected," according to Marc Chandler, currency strategist for Brown Brothers Harriman. "The hawkishness tends to be stronger for the dollar," said Chandler, who titled his market report, "Dollar rally as Yellen lays an egg." He said that support for the dollar and the slump in equities both result from the trend toward higher U.S. interest rates. The Chinese yuan hit a one-year low against the dollar. Looking ahead, the Federal Reserve is set to release bank stress test results. The U.S. government will also publish jobless claims at 8:30 a.m. ET and home sales from February will be reported at 10 a.m. ET. In corporate news, Burlington Stores (BURL) reported a quarterly jump in same-store sales and adjusted net income year-to-year. Nike (NKE) will report after the close. Shares of Guess (GES) fell in after-hours trading after the apparel maker's revenue forecasts fell below analyst expectations.